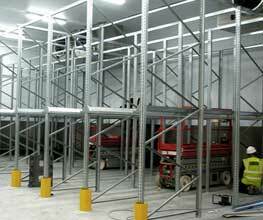 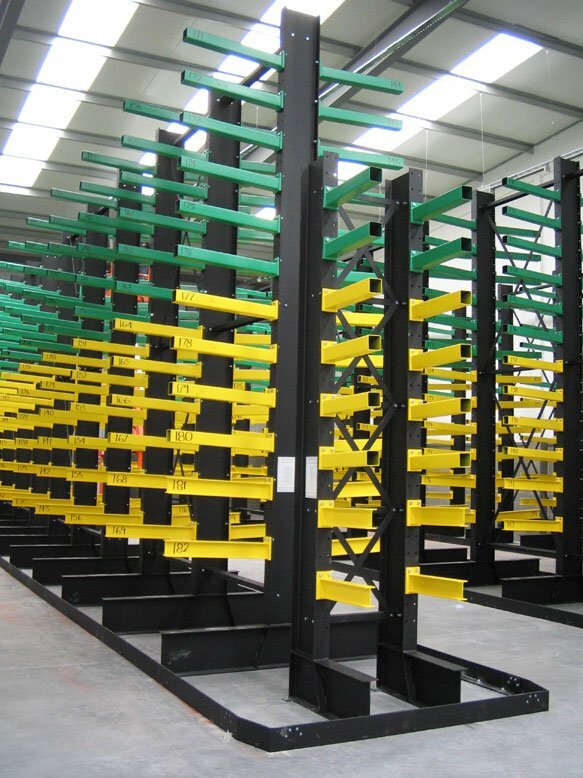 ESE Projects has been designing and installing Cantilever racking (often also referred to as steel Bar racks or Sheet racks as these are often the type of materials stored on the racking) since 1975. 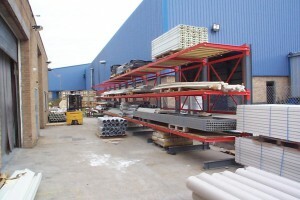 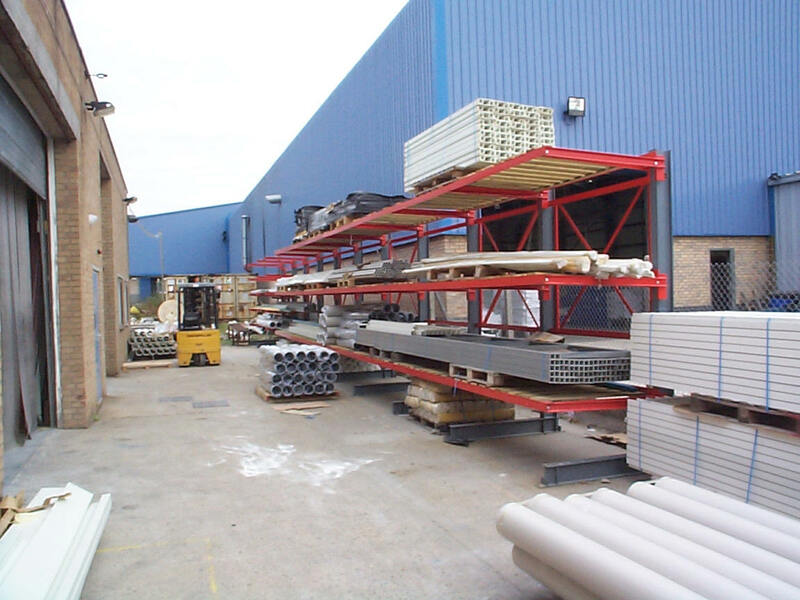 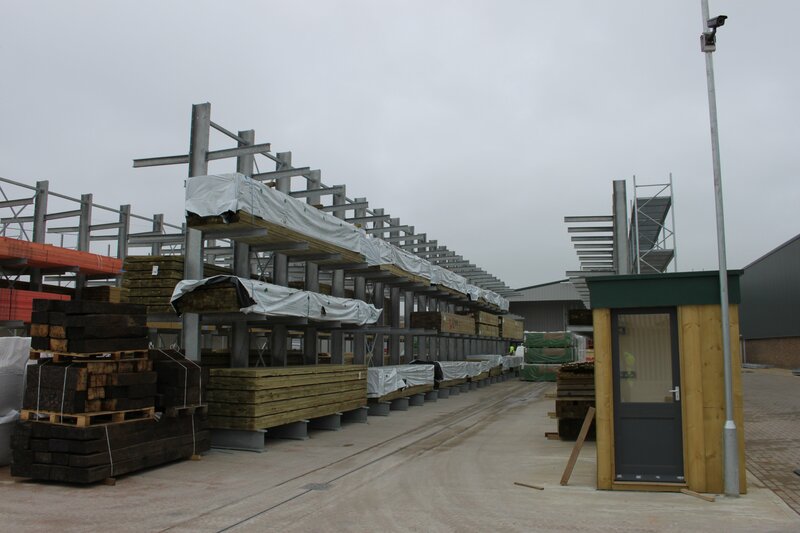 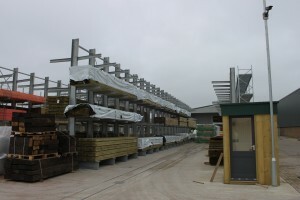 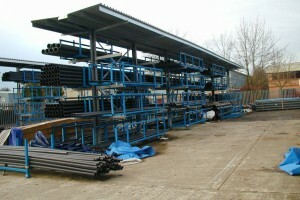 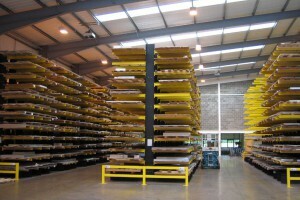 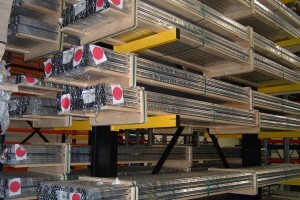 Over the years we have carried out cantilever rack installations from just a few bays to store light duty plastic pipes, tubes, gutters and the like, to huge design and build projects to store thousands of sheets of plasterboard, steel stud and general partitioning materials for a major partition and insulation manufacturer. 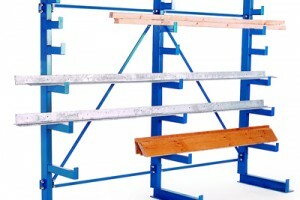 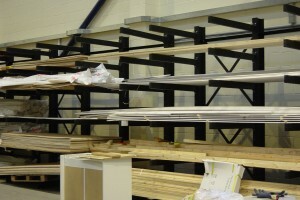 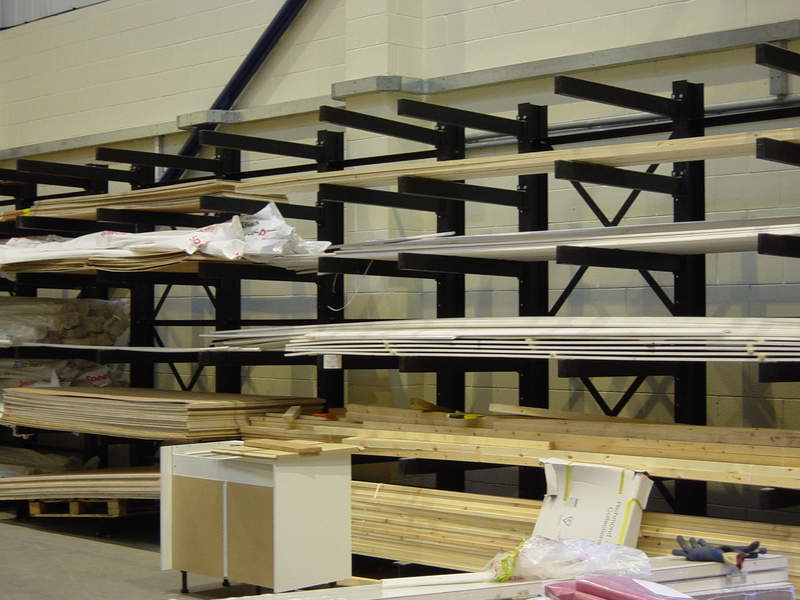 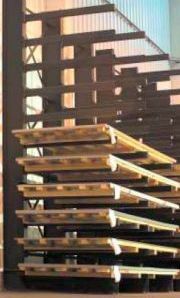 Bar racks / sheet racks are ideal for those applications where you need to store long or bulky product like timber, tubing, plasterboard etc horizontally, as the racks have no front uprights to interfere with the placement or retrieval of many different lengths of loads, thus lowering your handling cost and saving you time and money. 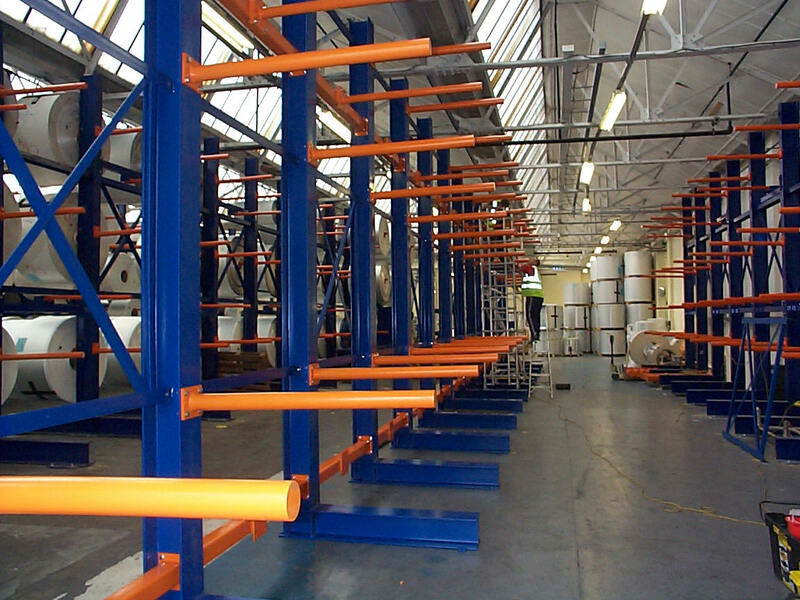 Cantilever Bar racks can can be small lightweight racking to store long items weighing very little, such as conduit, trunking, cable trays, guttering, or they can be heavy duty and designed to suit bespoke purposes. 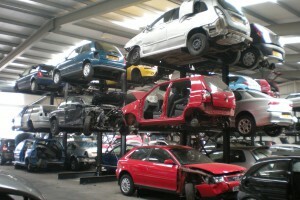 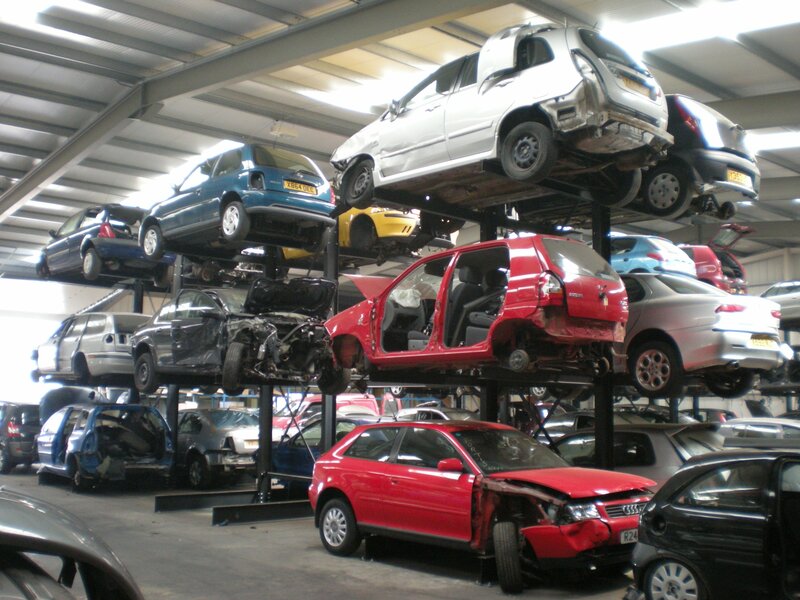 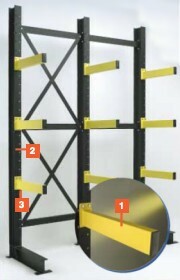 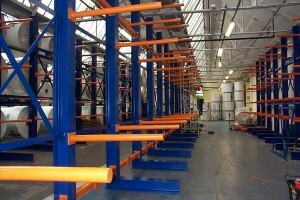 For example we have supplied and installed racks designed to hold very large reels of paper without damaging them, prior to use by the factory, and we have also fitted purpose built bar racks to store printing plates, steel and aluminium sheets and even fitted some with timber decks to accommodate loads that would normally fall between the upright arms. 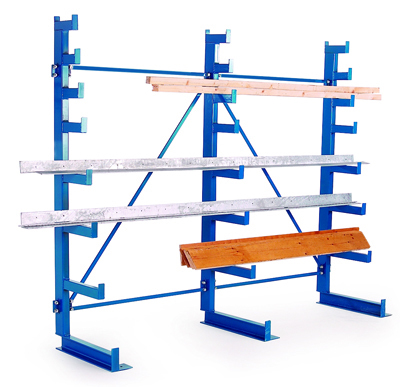 A cantilever is a beam that is supported at one end, carries a load along its length, and has the other end suspended in the air. 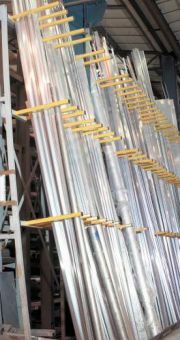 The beam forms a lever, which carries the load by being held in position by the mount, turning the loads into torque on the mount. 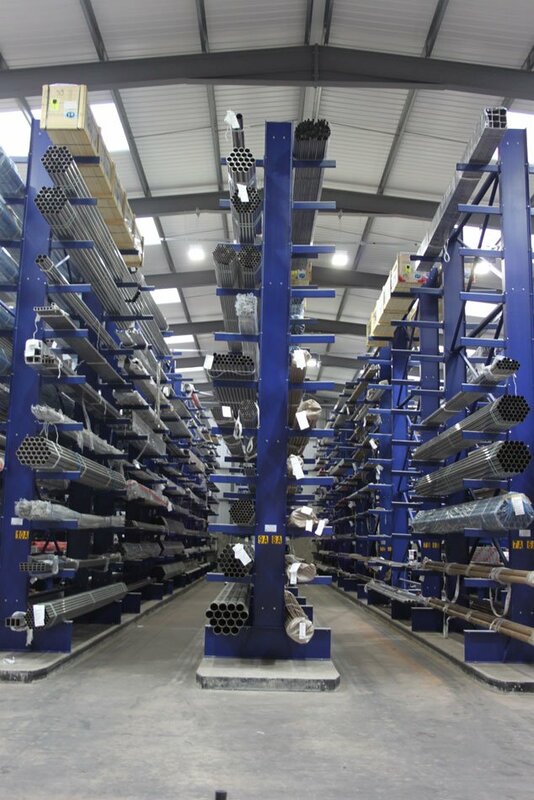 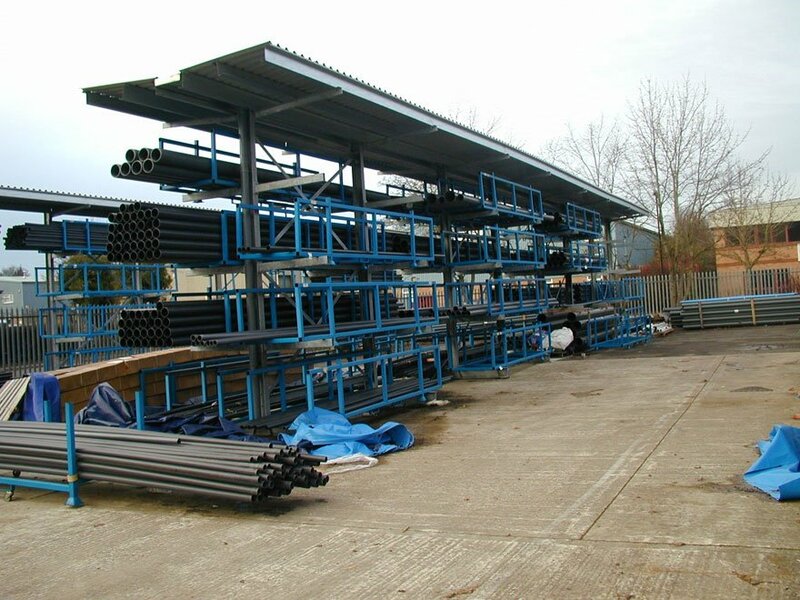 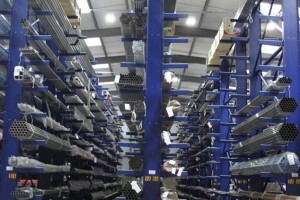 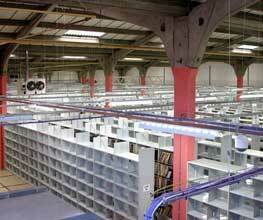 We have also been designing and installing Vertical racking to provide vertical storage racks for tubing, pipes, extrusions, guttering, lagging, panels, timber and other types of similar materials as they enable you to organize your stock and make each variation readily accessible to your team or even your customers in trade counter and retail outlets. 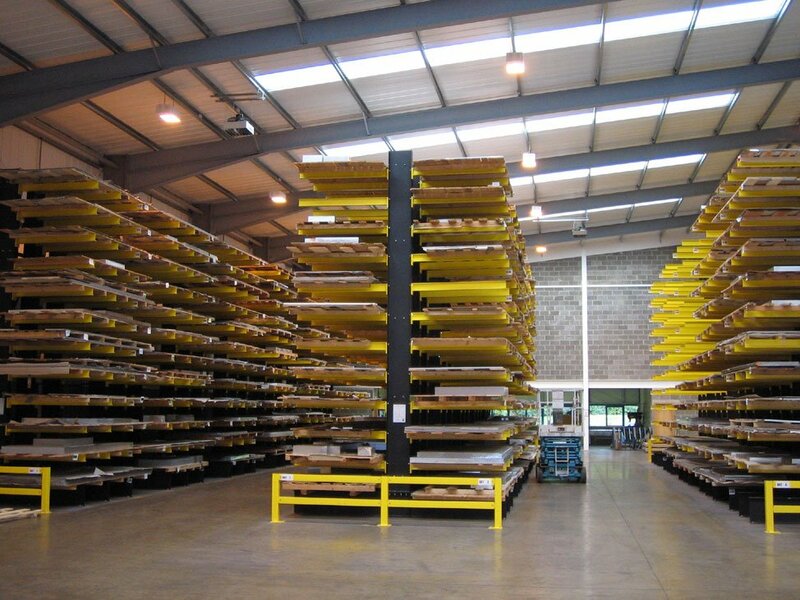 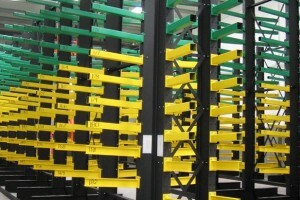 Vertical storage racks are also sometimes called pigeon holes and it is a very flexible way to display and stock long lengths of product that is hand-balled rather than palletised. 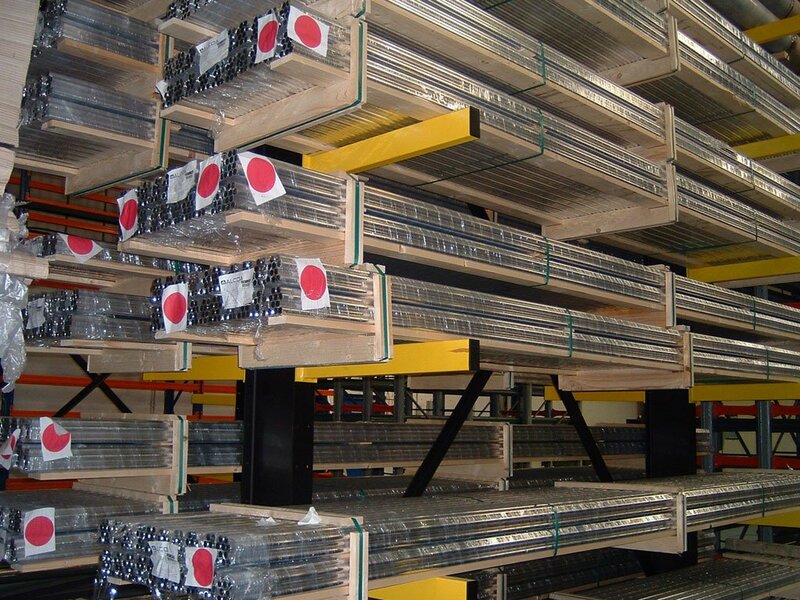 You can usually move the product separation bars forming the pigeon holes to make specific locations larger / smaller depending on your the stock at a given time. 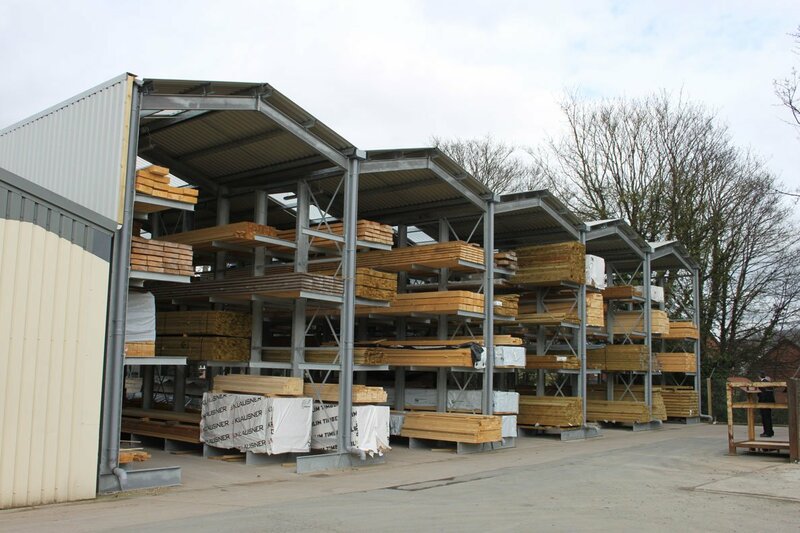 If you have a specific project in mind please give us a call to discuss, or ask us to provide you with a tailored quotation.